A number of special events will be held by the Suffolk Suffolk Inventors and Entrepreneurs Club. Tuesday, September 17th at 7 PM: County Executive Steve Bellone announced that the Suffolk County Inventors and Entrepreneurs Club will feature Anil Dhundale, PhD, Executive Director of the Long Island High Technology Incubator (LIHTI) and Clean Energy Business Incubator Program (CEBIP). Dr. Dhundale has responsibility for LIHTI, a Stony Brook University (SBU) business incubator, and works with Dave Hamilton in CEBIP. Anil will give an overview of the economic development programs at Stony Brook and a preview of the new START-UP NY program: http://www.governor.ny.gov/2013-startupny/startupny The meeting will take place on Tuesday, September 17th from 7-9 p.m.,Media Room of the H. Lee Dennison Building 100 Veterans Highway, Hauppauge 11788. The Suffolk County Inventors and Entrepreneurs Club continues to grow, with nearly 2,400 people coming through the doors since its inception. Each month there is a speaker and time for inventors to mix with business people, attorneys and those who would like to start their own business. The Club is a meeting place for inventors with patents pending, individuals who have sold inventions, and those who have great ideas but do not know where to start. There is no charge and no registration is required to attend the meetings, though a valid ID is needed at the door. 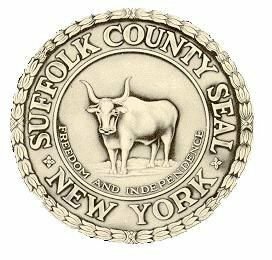 For more information, call (631) 853-4805 or e-mail: lisaann.broughton@suffolkcountyny.gov. Call SC Business Services Unit 631-853-6549 or CDCLI at 631-471-1215 x111 and reserve your seat today! Kensington Company representative Stuart Levenberg will present franchising opportunity and successful franchise career development information. See any of our counselors, or phone (631) 853-6600 today to reserve your spot! Plan to arrive early. September 12, 2013 at 11 a.m.
Presenting the Best Long Island Companies; HIA-LI's 19th Annual Business Achievement Awards Gala Luncheon being held on September 12, 2013. September 16th at 7 p.m. The Smithtown Library Patent and Trademark Resource Center will present: How to Obtain a Patent. Is your invention patentable? What is a patentability search? Join us as intellectual property attorneys from Sorell, Lenna and Schmidt, LLP discuss the basics of protecting your invention with a patent. Call 265-2072 x 228 for information and registration. September 18 at 8 a.m. - 10 a.m.
Long Island Forum for Technology - LIFT - presents: "Ideas to Innovation: Strategic Innovation & Technology in New York City Transit"
Why not explore your dream of owning a small business? A representative from the New York State Small Business Development Center will discuss how to start your own business and become a small business owner. See any of our counselors, or phone (631) 853-6600 today to reserve your spot! Plan to arrive early. Subject: LongIsland.com - Your Name sent you Article details of "Suffolk Inventors and Entrepreneurs Club to Feature Stony Brook Incubators and Business Assistance Programs"